GOING ON ADVENTURES: Book holiday flights now! If you’re planning to fly on an airplane before the end of the year, and especially during the upcoming holidays, the best advice from Dean Headley, Airline Quality Rating guru and associate professor of marketing at Wichita State University, is to book early. That shouldn’t come as a surprise, since holiday travel ramps up every year around Thanksgiving and Christmas. 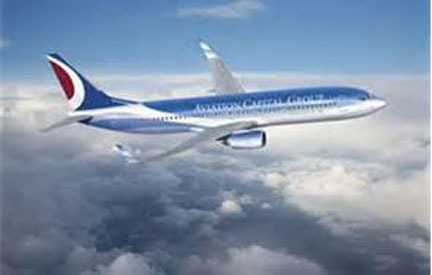 Strong demand for air travel will continue, and that means higher ticket prices and limited seat capacity. Despite the fact airline performance statistics have generally improved each year since 2007, the whole travel experience has become more stressful and less certain. Add to that the possibility of winter weather affecting departures, and you have a scenario that no one wants to think about. Flights for holiday periods often sell out months ahead. The exception might be to fly on the holiday itself—Thanksgiving, Christmas, or New Year’s Day. If you must travel on specific days, now is the time to book your holiday travel. “The holiday travel period continues to be a challenging time for travelers,” Headley says regarding his annual report released on Sept 10. 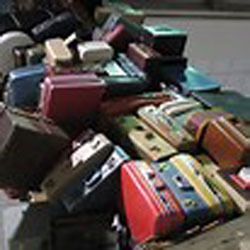 “December and January have the worst on-time arrival percentage and mishandled baggage rates. If possible travel as early before the actual holiday or as late as possible afterward, and always leave room for schedule changes,” Headley cautions. When booking, consumers also need to be on the lookout for additional fees. The price you see on a website may not be the final price you end up paying. Extra costs for certain seats, baggage, early boarding, and insurance can be significant, especially if a family is traveling together. If you have a choice between two connections with similar fares, choose the one with the least congested connecting airport. This reduces the risk of missing a connection or losing luggage. 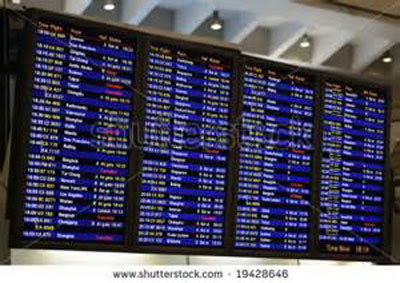 Recheck departure and arrival times of flights a few days before travel since schedules sometimes change. Be sure to check in early for your flight (up to 24 hours prior online). On oversold flights, which are common during the holidays, the last passengers to check in are the first to be bumped, even if they have met the deadlines. Finally, mind your manners. Other travelers (not to mention airline employees) are also under stress at that time of year. Consideration for other travelers is a good way to share a cheerful holiday spirit.